As Jesus was walking beside the Sea of Galilee, he saw two brothers, Simon called Peter and his brother Andrew. They were casting a net into the lake, for they were fishermen. 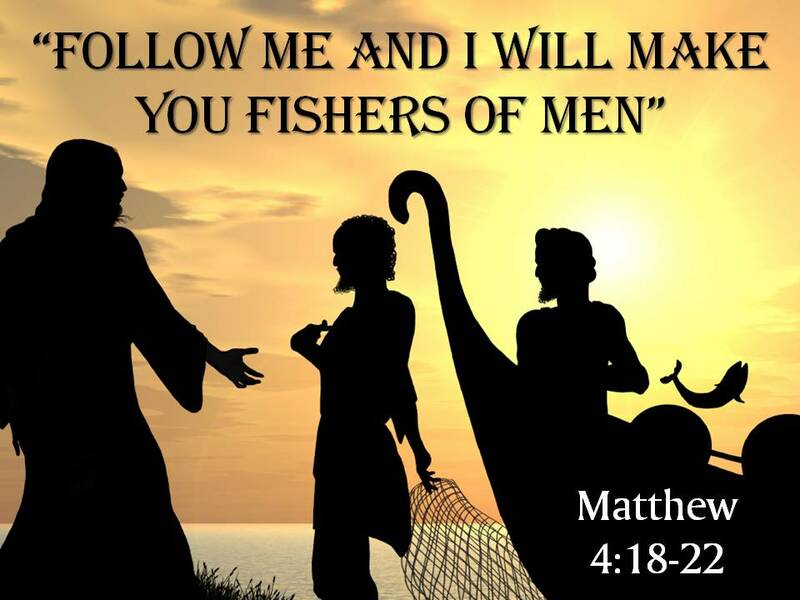 “Come, follow me,” Jesus said, “and I will make you fishers of men.” At once they left their nets and followed him (Matthew 4:18-20). On one occasion, while the crowd was pressing in on him to hear the word of God, he was standing by the lake of Gennesaret, 2 and he saw two boats by the lake, but the fishermen had gone out of them and were washing their nets. 3 Getting into one of the boats, which was Simon’s, he asked him to put out a little from the land. And he sat down and taught the people from the boat. 4 And when he had finished speaking, he said to Simon, “Put out into the deep and let down your nets for a catch.” 5 And Simon answered, “Master, we toiled all night and took nothing! But at your word I will let down the nets.” 6 And when they had done this, they enclosed a large number of fish, and their nets were breaking. 7 They signaled to their partners in the other boat to come and help them. And they came and filled both the boats, so that they began to sink (Luke 5:1-7 ESV). It was at this point that Jesus said, “”Don’t be afraid; from now on you will catch men” (Luke 5:11). The art of fishing for men is to present the simple gospel of Christ. On any other basis the person will not be a faithful member of the church for long. The gospel is the death, burial, and resurrection of Christ for forgiveness of our sin (1 Corinthians 15:1-8). He died so we could be forgiven by his precious blood (Matthew 26:28). Baptism is for the forgiveness of our sins (Acts 2:38). This how we catch men and the Lord adds them to his church (Acts 2:47; Acts 20: 28; 1 Corinthians 12:13). Let us go forth and be fishermen of men.